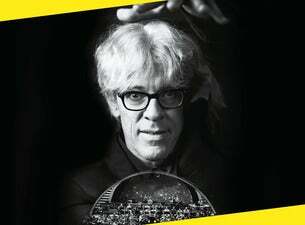 Lights Up the Orchestra is an pulsating orchestral celebration of Stewart Copeland’s legendary career. Arranged and conducted by Troy Miller, it features Copeland on drums along with the Manchester Concert Orchestra. On UK premiere tour, enjoy an evening full of epic music from the post-punk powerhouse songs of The Police to his best known film scores including Oliver Stone’s Wall Street, Francis Ford Coppola’s Rumble Fish and the theme from The Equalizer.